Aqua Pennsylvania is planning to close Boot Road weekdays between Hamlet Hill Drive and Morstein Road in West Goshen Township, Chester County, on Monday, April 1, through Friday, May 3, from 9:00 AM to 3:00 PM, for water main installation, the Pennsylvania Department of Transportation (PennDOT) announced. 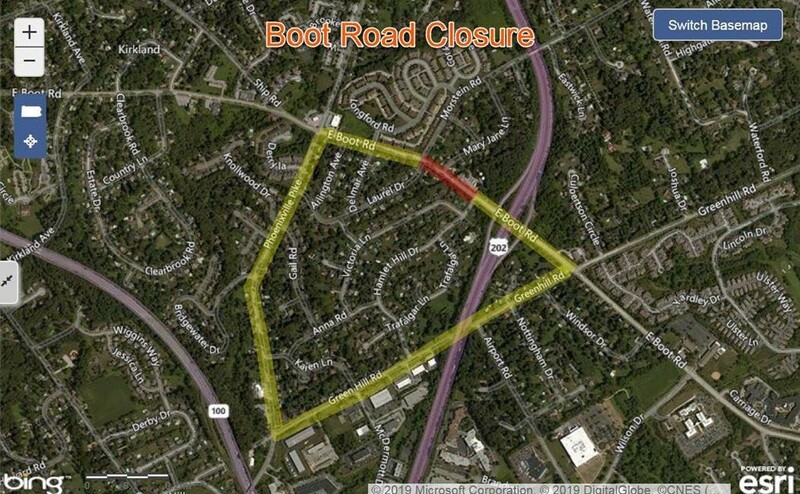 During the closure, Boot Road motorists will be detoured over Greenhill Road, Phoenixville Pike, and Boot Road. Local access will be maintained up to the work zone. All scheduled activities are weather dependent. Aqua Pennsylvania will complete this project under a PennDOT Highway Occupancy Permit. For more information, visit PennDOT.